When you’ve stayed up past your bedtime working on a vital presentation, or been burning the midnight oil when you should have been tucked up with a mug of Ovaltine, skyn ICELAND’s Hydro Cool Firming Gels will swiftly bel-eye tell-tale signs of fatigue. The delicate under-eye area is one of the first to betray signs of stress (or too many client drinks), but these sticky gel patches work intensively to diminish puffiness, brighten dark circles and enhance elasticity to counteract crêpey-ness. Enriched with hydrolysed elastin to increase firmness, alongside acetyl hexapeptide to reduce visibility of fine lines by inhibiting the muscle stimulation mechanisms, these 10-minute treatments reverse the skin-ageing effects that accompany a high-adrenaline lifestyle. Eye-deal the morning after the night before – just place under each eye as you boil the kettle (and check your emails) – then remove to reveal brighter, wide-awake eyes. Water/Aqua/ Eau, Glycerin, Olea Europaea (Olive) Fruit Oil, Angelica Archangelica Root Water*, Sodium Hydroxide, Acrylates Copolymer, Agar, Ginkgo Biloba Leaf Extract, Hydrolyzed Elastin,Acetyl Hexapeptide-8, Caprylyl Glycol, Perfluorodecalin, Simmondsia Chinensis (Jojoba) Seed Oil, Peg-75 Shea Butter Glycerides, Glycosphingolipids, Xanthan Gum, Ubiquinone,Thymus Vulgaris (Thyme) Flower/Leaf Extract, Buddleja Davidii Extract, Rubus Chamaemorus (Arctic Cloudberry) Seed Oil, Oxycoccus Palustris (Arctic Cranberry) Seed Oil, Aluminum Glycinate, Butylene Glycol, Polysorbate 60, Phenoxyethanol, Benzoic Acid, Dehydroacetic Acid,1,2-Hexanediol, Sorbic Acid * component of Icelandic Glacial Water Free of parabens, petroleum, mineral oil, sulfates, phthalates, synthetic fragrance and synthetic dye. 100% vegetarian, cruelty-free and allergy tested. I was expecting much more from these masks due to their high ratings, but really didn’t work to me. Since the first use I haven’t noticed any improvement, my under-eye area was even dry and crease-y. They are just cooling and refreshing but definitely don’t de-puff neither reduce dark circles nor hydrates. Does depuff and is very cooling.. it doesn’t instantly depuff but using it a few times a week I notice a deference! I really like these, the cooling sensation when applied. It also improved my dark circles, I feel refreshed after using these. I save them for special days, like when it's been a stressful day at work. They are very hydrating and soothing. Will repurchase for sure! Bought this originally as a present but woke up with bags one morning (literally looked like they were filled with water). So I tried them and 10 minutes later the bags were 95% gone! A really dramatic result. I will keep the eye masks now myself. Very satisfied with the effect, can always rely on this one. I love using this just before getting ready to go out - it really helps reduce puffiness and dark circles. Works amazingly well if you stick it in the freezer for 10 mins before application - it’s cold but worth it! Helps makeup look fresh in the under eye area too and concealer blends in beautifully! This is my 2nd purchase. I absolutely love this product and have to purchase it again! They leave your undereye looking fresh and leaves a smooth finish! I have very dark, hollow circles under my eyes and am well aware it is hereditary and near impossible to get rid of (I have tried everything). I was pleasantly surprised by these eye masks - they really plumped the under eye area which makes everything look a bit brighter. They are also very cooling and relaxing. I now religiously use them before a night out or event, I find my under-eye concealer goes on much easier, and the following day my circles never look so bad. Will be re-buying again and again! I usually use these when I have an event on, before my make up. They firm the area and make it look a little more radiant. Anything that looks after that delicate eye area I'm happy to invest in. Just expect a cooling and relaxing eye mask with no obvious result. My skin look smoother and brighter after 10 minutes. It actually works better than those high end brands. 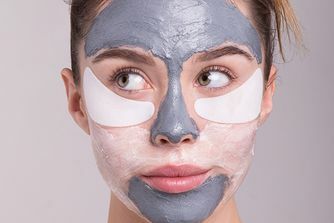 A firming eye mask is definitely not strong in moisturising but a great pick-me-up treat for tired eyes. I've tried just one pair from my Goody bag and I didn't get any negative effects. They gave me some smoothing but only temporarily. Either I got an old product because it's completely dry and doesn't do anything which so sad because I was expecting a lot after reading reviews online. I have prominent dark circles and thus familiar with many eye patches. And some of them do help against puffiness and colour. However, not those. They are very nicely made (shape, material, etc) and that’s why I add a star. But they do nothing. If you want effective eye patches, try Tarte or Koelf. I’d use the rest of my SI patches when I do makeup, so there’s no fallout under the eyes. I don't think I can live without these eye gels. They are amazing; they do exactly what you want an eye gel to do. They leave my under-eyes hydrated and soft and an immediate brightening effect. I try to make them part of my sunday routine and they are a must when doing my routine on the plane. - cool sensation straight away - I have really really dark under eyes - it would have been impossible for one product to change that HOWEVER, I did notice a definite improvement - really refreshed smooth under eyes (although I don't really suffer from wrinkles etc) - lasting effect - refreshing etc. if you have been straining eyes with late nights or studying or using screens etc. - good value compared to other eye masks - will repurchase for sure! The only eye mask thar helps with my puffiness and dark circles. So good! I was looking for some eye mask to relax my poor eyes after long hours spent at my computer. They're wonderful: they refresh my skin, give me some radiant look and make my fine wrinkles smaller. For me it's a 5-star product. Used these on Monday morning to hide the sneaky Sunday night-shenanigans. I didn't have them in the fridge but can see how keeping them cool would add to their effect. My eyes were smooth, no longer puffy, hydrated and I looked like I had actually made it to bed that night. Definitely a bathroom saviour. Pop them on as you eat breakfast and by the time tea is drunk they have done their job! Et voila! I need something for my eyes because my Shiseido eye mask pads ran out and I was looking for something cheaper. This pads are not as moisturizing as the Shiseido ones but they really do feel give a great feeling. So if the Shiseido ones are also too expensive for you, give these ones a try. Pop these babies into the fridge and you'll have yourself the perfect treat after a long day! 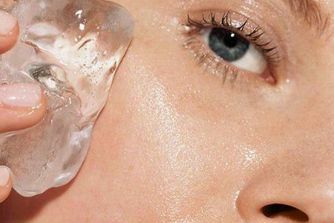 These wondering eye gels are instantly cooling. Not only do they feel amazing, after one use you'll notice that your eye area is de-puffed and lifted. Would definitely repurchase!